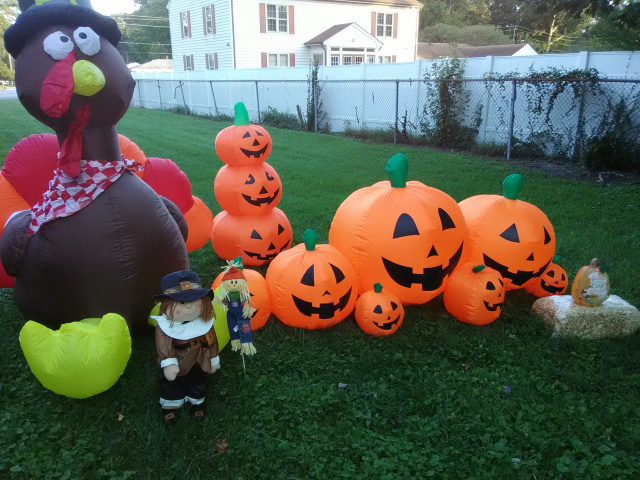 Brighten up your 2019 Thanksgiving and Fall Season with one of our colorful Thanksgiving or Harvest Inflatables These inflatables make great Thanksgiving yard decorations. Grab one today...Thanksgiving and the Fall Season will be here soon! New for Harvest/Thanksgiving 2018....Six Foot Turkey Airblown Inflatable. Show off your Thanksgiving and Harvest decorating this year with this adorable 6 Turkey with red and white checkered scarf. Great way to Say Happy Thanksgiving to your neighbors and friends with this handsome looking turkey. Looks like he is ready to party and celebrate with you this Harvest season! Comes with internal lighting to light up the night. New 2018 Thanksgiving Inflatable....4 Foot Pilgrim Boy and Girl. Adorable Thanksgiving Inflatable that will grab everyone's attention. This 4 Foot Tall Pilgrim Boy and Girl Combo Set is ready to greet and welcome all your guests with a joyful Happy Thanksgiving! Self inflates in seconds and is weather resistant. New for Thanksgiving 2018....8.5 Foot Wide Turkey Family Scene Inflatable. Liven up your Thanksgiving and Fall Decorating with this 8.5 Turkey with his adorable 2 chicks. This colorful friendly looking Turkey and family will grab a lot of attention this fall. New for Fall and Harvest 2018.....Stacked Pumpkin Patch Inflatable. We really got some fun loving smiling pumpkin friends here. There are ready to point you in the correct direction to your pumpkin patch. This fun Fall inflatable features includes battery operated with timer chip control featuring 4 hours on, 20 hours off. Requires four D batteries (Not included). Also, comes with an air pump. These 3 pumpkins stands 4 feet high. Great also for all your fall festivals! This Gemmy Thanksgiving Turkey is decked out in his Pilgrim Hat and is to ready liven up your yard or indoor location. Is it just us, or does this turkey looking slightly...nervous? Great economically priced Thanksgiving yard or indoor decoration for any budget. This 3 foot Airblown Thanksgiving Turkey lights up and self inflates in seconds. Everything included for quick and easy set-up. Look who is the Harvest Hoedown mood....It is Harvest Themed Disney Minnie Mouse. Adorable Minnie Harvest Thanksgiving Inflatable stands 3.5 tall. All decked out in her harvest outfit, he is holding a banner wishing all you neighbors and invited guests a "Happy Thanksgiving"
Look who is the Harvest Hoedown mood....It is Harvest Themed Disney Mickey Mouse. Adorable Mickey Harvest Thanksgiving Inflatable stands 3.5 tall. All decked out in his harvest outfit, he is holding a banner wishing all you neighbors and invited guests a "Happy Thanksgiving"
Looks who is ready to celebrate Thanksgiving with you this year. Snoopy is decked out in his Harvest outfit and carries a banner wishing all a Happy Thanksgiving to help celebrate the season with your neighbors and friends. This official Peanuts new 2018 Harvest/Thanksgiving Inflatable stands about 3.5 feet tall. New for Harvest and Thanksgiving 2018....7 Foot Scarecrow Inflatable Decoration. This happy go lucky adorable scarecrow is ready to celebrate with you at your next hoe down, fall festival, hay ride, pumpkin patch, and more. Realistic looking hay included in the build of the scarecrow. Super Size your Thanksgiving Decorations with this Thanksgiving Turkey Inflatable for indoor or outdoor use. Forget the Macy's Thanksgiving Parade, you can now have your own Giant 6 Foot Turkey Inflatable this year to help celebrate Thanksgiving right in own front yard! This is the Original Gemmy Thanksgiving Turkey Inflatable! New Colorful Harvest Thanksgiving Turkey Inflatable.. This Pilgrim Turkey features a multi color tail. Each tail feather color lights up with a different color. This colorful dapper looking Turkey stands almost 5 feet tall and almost 7 feet wide and is ready to join in your Thanksgiving festivities. Back for Harvest 2018.....Show your Autumn and Thanksgiving spirit with this Scarecrow on a Tractor Inflatable. Approximately 6 1/2 by 4 by 6 1/2 feet tall Airblown Inflatable. 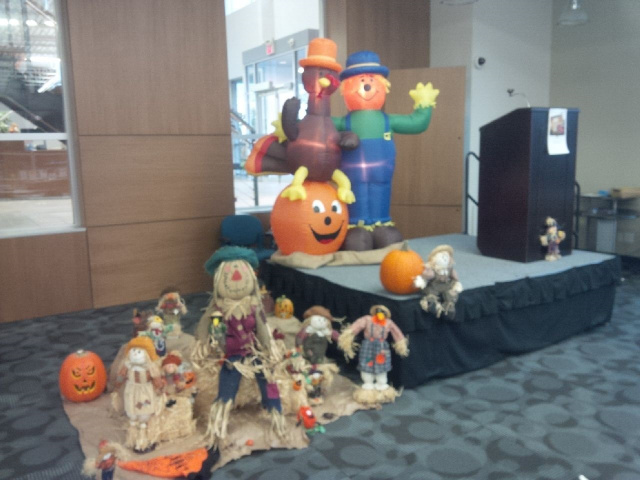 This Scarecrow will surely bring some cheer and laughter this Fall and Thanksgiving! Great for farmer markets, fall celebrations, and front yards. 4 Foot Turkey Thanksgiving Inflatable. This 4 foot Turkey is a perfect addition to all your Harvest and Thanksgiving decorating. Great for home yard decorating, farmer's markets, fall festivals, and pumpkin patches. Easy to set up and take down. Lights up to illuminate for all your autumn and Thanksgiving night time festivities. Add some humor and fun to your Thanksgiving decorating with this Air Character Thanksgiving Turkey In A Pot Inflatable. Although this turkey looks like he is in a bit trouble, he wishes you and all your neighbors a Happy Thanksgiving. Turkey inflatable stands 6 feet tall. New Fall Inflatable...Large 8 foot Pumpkin Patch Inflatable. Great for the yard or if you have a pumpkin farm or for farmers markets and you are selling pumpkins, or even for fall festivals. These seven happy smiling pumpkins with grab the attention of everyone. Sitting Turkey Thanksgiving Airblown Inflatable. This 5 foot new Turkey Thanksgiving Inflatable will add some Holiday cheer to your Fall and Thanksgiving Decorations. Lights up for a night time glow. New for Thanksgiving and Harvest....8.5 Foot Tall Gemmy Thanksgiving Inflatable. This large affable turkey will entertain everyone in your neighborhood and put everyone in the Harvest and Thanksgiving. spirit. Great way to greet all your Thanksgiving guests. Pilgrim 4 Ft Pilgrim Couple Thanksgiving Inflatable. This Thanksgiving inflatable features 4 Foot Pilgrim Amish Man and 3.5 Foot Tall Pilgrim Woman greeting all those you pass by. Great for your yard, pumpkin patches, or fall festivals or Thanksgiving festivities. Back for 2019....10 Foot Turkey Thanksgiving Inflatable. Wow....now you can really supersize your Thanksgiving Decorating with this very large, but friendly and affable, 10 foot Thanksgiving Turkey Inflatable. Has a large motor to blow the turkey up in a couple of minutes. Kids will love this one! 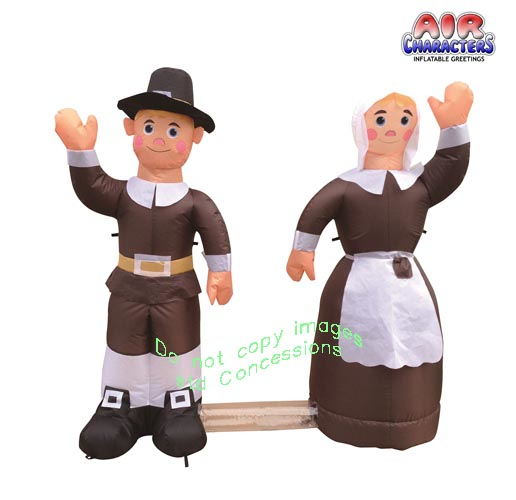 Pilgrim Couple Thanksgiving Inflatable. Updated version for 2019....creatively designed male and female Pilgrim Combo Thanksgiving Inflatable. Celebrate this Thanksgiving with these pilgrims in your yard this year. Beautiful and inspiring inflatable. Let's give thanks. Grab this inflatable today before it sells out this year again. Thanksgiving American Indian Woman Inflatable. Back for Thanksgiving 2018..... American Indian Airblown Thanksgiving Decoration. This woman Thanksgiving inflatable is holding a bundle of corn. Great item to compliment your Harvest and Thanksgiving decorations theme this Fall Season. Stands 6.9 feet tall. Great addition to your Fall and Thanksgiving Yard Decorations....especially with the Pilgrim Couple listed above. New Tall American Indian Man Inflatable stands over 7 and a half feet tall. Great reflection item along with the Pilgrim from the first Thanksgiving. New Thanksgiving Inflatable.....4 foot high American Native Boy and Girl Thanksgiving Inflatable. Great compliment to the American Indian Man and Woman Thanksgiving Inflatable. Rated for indoor or outdoor use. Let this colorful Thanksgiving scene greet all your Thanksgiving guests this November. Also lights up for a night time glow. New ....Celebrate this Thanksgiving with this very colorful sitting Turkey. This Thanksgiving Inflatable stands 5 feet high. Let this handsome turkey inflatable be part of your Thanksgiving and fall decorations this year! For indoor or outdoor use. New for Harvest Fall 2018....Pumpkin Trio Inflatable. Adorable set of 3 stacked pumpkins will make an affordable and easy way to decorate for all your festivals and parties this fall. Great for indoor or outdoor use. Stands almost 4 feet tall. Welcome Fall and Autumn with this large colorful 12 Foot Happy Fall Pumpkin Patch Inflatable. Total of 7 pumpkins. 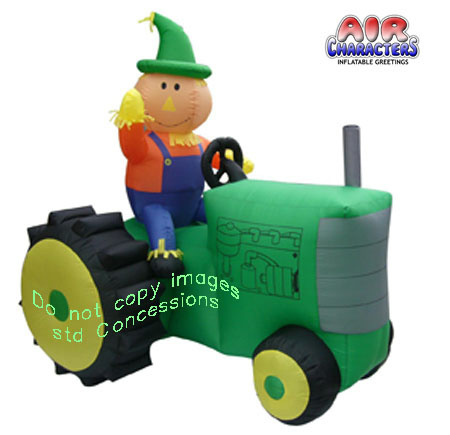 Harvest and Fall Decorating will never be the same with this very attractive and creatively designed 12 Foot Fall Inflatable. The 2017 Outdoor Christmas Yard Inflatables Line has been expanded in quantities and themes. From Star Wars, to Peanut's Charlie Brown, to Kaleidoscopes, to The Minions, The Grinch, Photo Realistic Inflatables, To Disney Cars, and a whole lot more. New colorful and creative models. 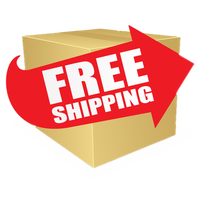 For the latest Christmas Yard Decorations, head over to our 2014, 2015, 2016, and 2017 Outdoor Christmas Inflatables store. Photo of our Turkey Sitting on Pumpkin with Scarecrow Inflatable sent in from our friends in Canada.